Sophomore English major with a minor in social media, Zijia Abigail Zhou has been involved in multiple volunteer service projects and is a member of Wenzhou-Kean University Student Association (WKUSA). Zijia Abigail Zhou, better known as Abigail, is an exchange student from Wenzhou-Kean (WKU) who has dived straight into involving and submerging herself in everything the Main Campus in Union, NJ has to offer. In only her first semester here, she has become a member of Wenzhou-Kean University Student Association, been hired to work with the Involvement Center and volunteered at multiple student community service projects like Alternative Spring Break and Community Food Bank. Zhou is from Wenzhou, China home of Wenzhou-Kean. She describes Wenzhou as a city of hard workers with lots of potential to become a major city in China one day. Currently she is an English major with a minor in social media. Zhou decided to attend WKU to develop her own style of teaching English to English Second Language (ESL) students. She hopes to change traditional teaching methods and inspire students by teaching them English using realistic situations. When deciding to come to study at the Union campus, Zhou was looking for a new environment and a way to fulfill her dream of visiting America. Since arriving at the Union campus, she has participated in multiple service projects including Alternative Spring Break and the trip to the Community FoodBank of New Jersey. Alternative Spring Break is a four day overnight community service project trip that gives students the opportunity to do more than relax over their spring break, but give back to the community and to those who are in need. It is also a time for students to bond and forge new relationships with others who share a passion for volunteerism. "I enjoyed every second I was there. I learned a lot about different tools for building and and I enjoyed spending time with the other Kean students. They were nice and kind, and we had the same goal of helping people and giving back to the community. It is good that the school offers this opportunity to go out and do something that really helps the community," said Zhou during Alternative Spring Break. Habitat for Humanity is an opportunity to build homes and friendships through volunteer work. When volunteering with the Community FoodBank of New Jersey, students volunteer to provide support for the Community Food Bank of New Jersey. Student volunteers sort food donations, create boxed meals, build donation boxes, sort frozen food and more. Zhou is also a member of the Wenzhou-Kean University Student Association (WKUSA). WKUSA is an organization at Main Campus that strives to create initiatives, events and programs to make the transition for Chinese exchange students more easy and comfortable. When discussing the best part about living on the Union campus, Zhou credits the social aspects to being her favorite part about living in America. She is blown away by the way Americans socialize and make new friendships, as it is different than how it is done in China. 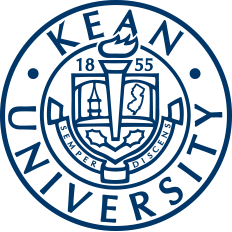 She also acknowledges all of the great opportunities offered to Kean Union students because of Kean's long history and established programs. 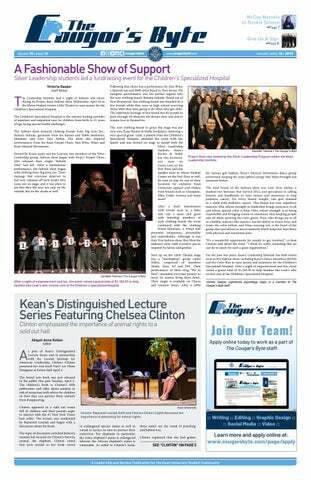 "Because the school has a long history—a much longer history than Wenzhou-Kean—there are much more opportunities like all the jobs, clubs, fraternities and sororities and a lot of events. Here, I go to a lot of the events with my friends, and I really like all of them. One of the things I like is the way people socialize in America. It is very different from how you socialize in China." Recently, Zhou has gotten a job working with the Kean University Involvement Center. The Involvement Center is a hub for student activities on campus regarding clubs and organizations. It is through the Involvement Center that students can learn how to get involved and get connected with groups, as well as manage their groups and establish new ones. For more information about the clubs and organizations on campus and all the ways one can get involved, contact the Involvement Center located in the Miron Student Center (MSC), Room 303 by calling (908) 737-5270 or by visiting their website. In her time on the Union campus, Zhou has enjoyed her time making new friendships, volunteering and now she begins a new journey of working with the university to encourage other students to become involved through the Involvement Center. Zhou is grateful for everything she has been able to do here and looks forward to all the time she has left to make a difference and make the most of this experience.